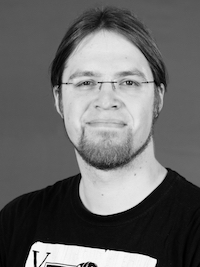 This week’s guest, Malte Elson from Ruhr University Bochum. Turns out that doing science is hard. And doing science involving people is particularly tricky and comes with all kinds of caveats. And then doing research on humans involving something as diverse and personal as video game experiences is even more tricky. Science is HARD, y’all. In this episode of the podcast I talk about all that relates to two popular and frequently contentious topics in video game psychology with my guest, Malte Elson. He’s a behavioral psychologist working at Ruhr University Bochum in Germany and he has spent a lot of time thinking about video game research and has a lot of thoughts about the state of research on things like video game violence and video game addiction. It’s a cool talk that should prepare you to discuss and form your own opinions about these topics and others.